Susan DeMay began her ceramics career as a graduate student at what was then called the George Peabody College for Teachers, where she studied art from 1977 to 1979. After earning her M.S. 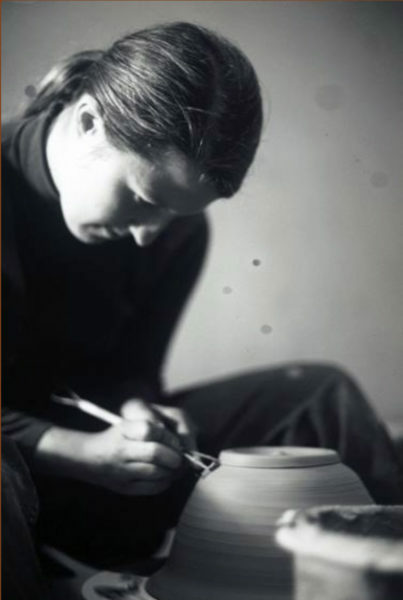 degree and establishing a pottery studio of her own, she was invited to return to the Vanderbilt campus to teach. Nearly forty years later, she will be celebrating her retirement as a professor in Vanderbilt’s Department of Art. This exhibition surveys ceramics DeMay produced over decades of teaching, running her own production line, and creating artwork in clay. On view are selections from three bodies of work that DeMay has developed over the years. The first are pieces made for classroom demonstrations, which underscore technical methods as well as aesthetic considerations. The second group represents the colorful production works that DeMay fabricated while running a pottery business, with the help of up to nine assistants. The third includes a suite of ceramics that are slab-constructed forms with unique surface treatments and hard, glassy glazes. These artworks are inspired by a wide-ranging set of visual references, as well as traditional ceramic practices. Artist talk Friday August 9 at 5pm with reception following, in Cohen Memorial Hall.